As far as opening remarks go, those words wouldn’t seem to augur well for the ensuing speech. 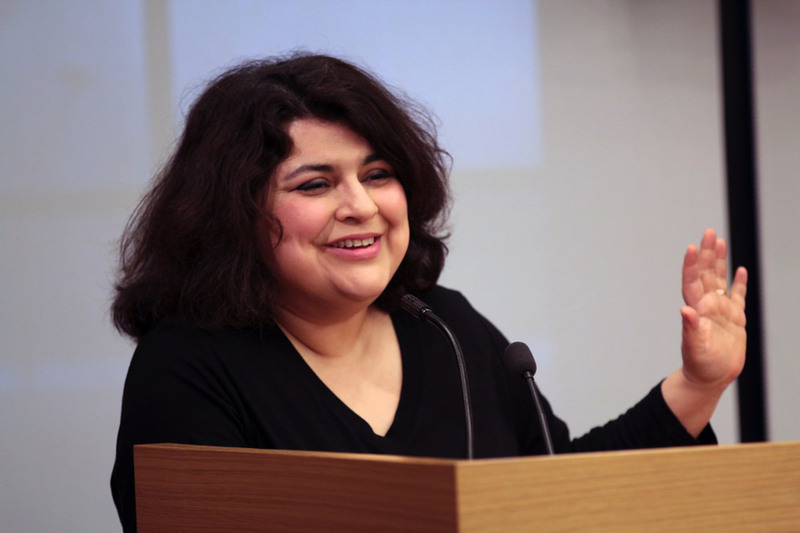 But on Thursday night at Dumbarton Oaks in Washington, D.C., as part of a series of talks on careers in the humanities, Sharmila Sen, executive editor-at-large at Harvard University Press, managed to imbue them with unexpected glee. Her beginning, in a semi-conspiratorial whisper: “I failed my programming exam at Harvard when I was a freshman.” At a time when incoming freshmen were required to pass not only the standard language and writing proficiency tests but also a programming test in BASIC, this gave Sen a dubious distinction—she began her undergraduate career on academic probation. Despite her precocious stolidity, Sen was eventually swayed. Graduating with a degree in English, Sen, who moved to the United States at 12 after growing up in Calcutta, spent a year teaching in an international boarding school at the foot of the Himalayas, whence she returned to begin her graduate studies at Yale. There, having learned a lot but evidently not quite enough, she promptly failed, right at the start, once more. “I went to graduate school, and you know what happened? I failed my Latin exam,” Sen explained, speaking of her past self—as she did throughout her talk—with wry incredulousness. “And you know why? Because I’d never studied Latin.” As the laughter in the room slowed and ceased, Sen entered a new phase of her talk, describing the institutional roadblocks she ran up against at Yale and the confrontations with language that shaped her academic career and interests. As Sen moved from speaking about her academic career to her transition to the publishing industry, her talk debouched, in turn, from personal narrative into a broader discussion of the humanities and humanistic careers. At the same time, she elaborated on thematic threads nascent in her previous comments, among them the power of chance, the importance of others, and the practical concerns that often determine the directions our lives take. If any steadfast theme emerged from Sen’s talk, it was a concern with those sudden, blindsiding moments that tend to upend the cozy narratives—of lives, of careers—that we compose for ourselves. As she observed, this unpredictability is best countered by a willingness to plunge headlong into unaccustomed environments and new circumstances—an ability especially valuable for budding humanists. In reality, as Sen contended, external factors carry less weight than the internal mood of the humanities. In her view, the greatest threat to the humanities—including the publishing world—might be the pessimism she sometimes sees about her, an obsessive peddling of spooky statistics—the lack of jobs, the decline in funding, the general morbidity of the field—that’s all too frequently counterproductive.